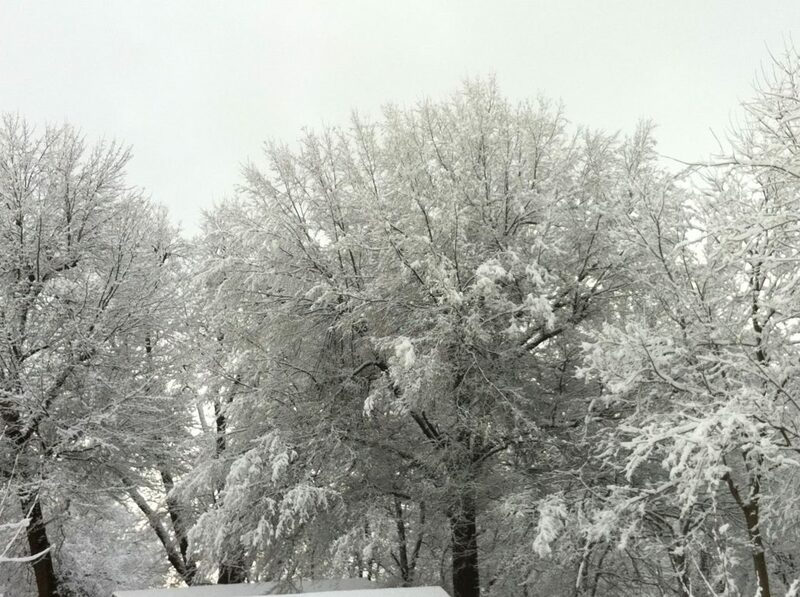 Winter Tree Care | Lexington, KY | Town Branch Tree Experts Inc. The brilliant colors of autumn’s leaves have faded fast as cold temperatures come rushing in with the official start date of winter. Since most trees and shrubs become dormant during winter, it’s tempting to put off caring for them until the weather warms up. If you want lovely, healthy trees this upcoming spring that show off your home’s curb appeal, consider giving them a little extra care this winter, such as pruning, mulching, cable and bracing, and inspecting. When a tree is pruned, branches and limbs are selectively reduced or removed to improve structural characteristics, increase space for other objects, or address safety concerns as with dead or damaged branches. When done properly, a pruned tree will have a healthier form during the growing season and will also be more aesthetically pleasing when bare. ISA Certified Arborists such as those of us here at Town Branch Tree Experts in Lexington KY are well-versed in proper pruning techniques to achieve the desired results. We can also identify the specific pruning techniques that various trees and shrubs need throughout the colder months. We prune trees year round. Winter is as good a time as any, perhaps better in some cases since branches are bare. Your arborist can clearly see your tree’s structure and decide the best plan of action for winter pruning. In cases of extremely large canopies with lots of fine dead wood, this pruning is often better left for the spring due to the detail and attention that the work will likely require. While the tree tops are dormant, roots are actively growing. Appropriately mulching trees and shrubs helps them to retain moisture and nutrients. Mulch also insulates tree roots and keeps the soil warmer. The right mulch maintains soil integrity and contributes to its fertility. Adding mulch to your trees is one the simplest, most effective practices a homeowner can implement to improve overall health of the landscape. Fertilization is also a great addition to your winter tree care regimen. We can help you to decide on the details of mulch and fertilization to provide the most benefit to your trees and get them ready for next spring and summer. Established trees look beautiful and support your family’s quality life in the form of summer shade and cleaner air. After enduring high winds and storms throughout the year, full branches can become weak. Rather than cutting large portions of branches or performing a complete tree removal, an arborist may recommend adding cables or brace rods for supplemental support to a weak branch union. If you’re concerned about any potential weaknesses in your tree, give the skilled arborists at Town Branch Tree Experts a call. We’ll do an inspection of your trees to find out if cable and bracing is an option for any of your trees. For particularly large or old trees, winter tree care should always include tree inspections by an ISA Certified Arborist annually and following any major winter storms. A close inspection of your trees uncovers potential issues that impact your safety and the tree’s continued health. The declining or weakened limbs of any tree can break during a strong storm, whether wind, snow or ice. This is critical if the tree is large and near a target, such as your home or driveway. We saw many examples of that this past summer! Branches can crash through window glass, damage roofs, or fall on other property or passersby. While not every failure can be predicted or mitigated, it’s best to keep adequate clearance space between limbs and structures. An inspection can help identify the most effective tactics to keep your trees and your home safe during the winter months. After an inspection, we perform the necessary pruning or we will recommend removal when a tree poses significant risk or is past the point of restoration. The team of ISA Certified Arborists and tree care professionals at Town Branch Tree Experts, Inc. bring the skill, knowledge and expertise to each job to safely and efficiently perform the work your trees need to be an asset your property. As always, Town Branch Tree Experts, Inc. is here for all of your tree care needs. Our professionals care deeply about the community and the overall health of the trees that comprise our collective urban canopy. Please feel free to contact us with any questions or concerns you may have about any of your tree related needs!